You wouldn't find pearls on the beach. If you really want a pearl you will have to dive for it. For over five years we've been browsing through boundless seas and branched forests to find powerful gems leaving a sharp impression while taking us on a journey. They infatuate, fascinate and delight the listeners falling in love with the works of art. What makes the quest most fun: the more unknown the artists, the more truthful the productions. After all, it is music that makes us do things we usually wouldn't dare. It is a whirl we really like to jump into like a big and swinging web of silk and sorrow. 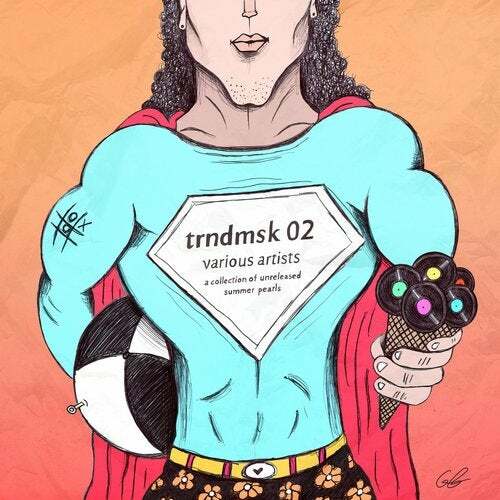 Following the first compilation A Collection of Unreleased Pearls is trndmsk's second release this summer: 22 tracks by musicians, producers and composers dedicated to electronic music. Benn Finn, Braunbeck, Coss, Die Vogelperspektive, Emil Berliner, Pierre Remy & The Latest Son, Drivepitcher, Jan Hertz & Rocko Garoni feat. Deeryona, Jonas Saalbach, Nikolas Noam, Raumakustik, Ren Bourgeois, Tony Casanova, IllyNoize, UNFUG, What Ever & Cubus, Elfgrin feat. Groovio, Borka & The Gang, Zusammenklang, David Hasert feat. Ice, Unueberlegt and Steven Moeller are the artists drawing us into different spheres- thanks to their summer pearls.